After the release of Hay Day, the entire world is busy in managing Uncle Greg’s farm. Managing Uncle Greg’s farm is fun leveraging. People around distinct corners of the world are now busy in their smartphones managing their virtual farm and harvesting wheat crops on Uncle Greg’s farm.Hay day is a fun edition developed by Supercell in the year 2009, on the plot of Farmville; the game is as famous as Farmville with better graphics and covets a special bronze medal from Pocket Gamer. Hay Day was first released on the IOS platform on 21 June, 2012, with much fanfare. Later,it was launched on the Android platform on 20th November 2013. 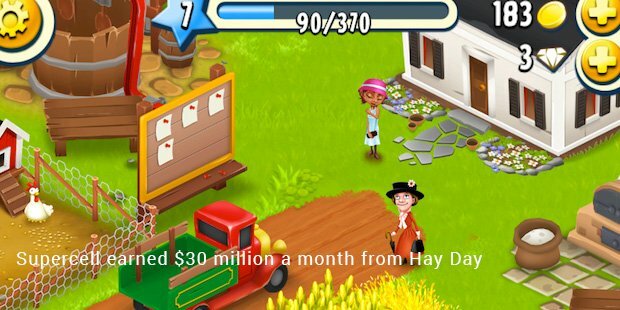 In 2013 Hay Day was the fourth highest game in revenue generation. Hay Day together with Clash Of Clans generated around $30 million for Supercell right after the launch. Hay Day also become famous on Facebook. Millions of people started playing this fun leveraging game online for hours. Slowly Uncle Greg’s farm became world famous. Hay Day beats Farmville in terms of the graphics and easy controls. 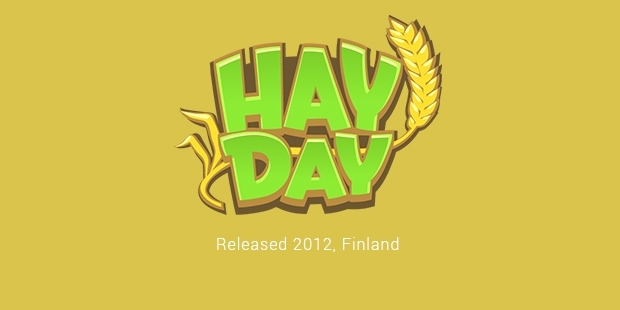 With a million visits every day, Hay Day is one of most played online games. The plot of Hay Day is very interesting. In the game,the uncle of a player, Greg has a farm. Uncle Greg is not able to manage the farm all alone any more. So he hands over the the responsibility of managing it to the player. The game starts with a lesson on how to harvest wheat with sickle. Later the plot of the game become very interesting when players have to sell goods in the market to earn coins in order to buy machinery and livelihood for the farm and for uncle Greg too. Hay Day has leveraged millions of people with fun time after their hectic schedule at work place. 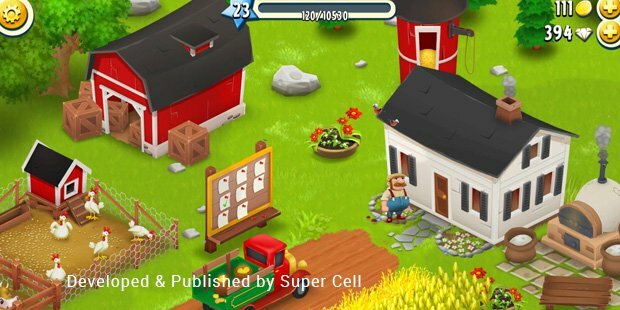 Supercell is working round the clock to improve the graphics and levels of the game.With more than 100 millions downloads, Hay Day is one of the most downloaded game on various Platforms like Android and iOS. Following the success of the game, Gamezebo gave 4/5 stars in terms of graphics. This makes Hay Day better than Farmville. And in the same row Pocket gamer gave the bronze medal to the game.As the rage is high developers are working round the clock in the albs to improve the game and introduce more interesting levels to keep the players hooked.